Aaaah Weddings, who doesn't love lovely summer weddings. All the prosecco, sunshine and beautiful dresses... despite me only attending the evening reception, its always a great feeling to get all dressed up and feel a million dollars, even if only for a few hours. 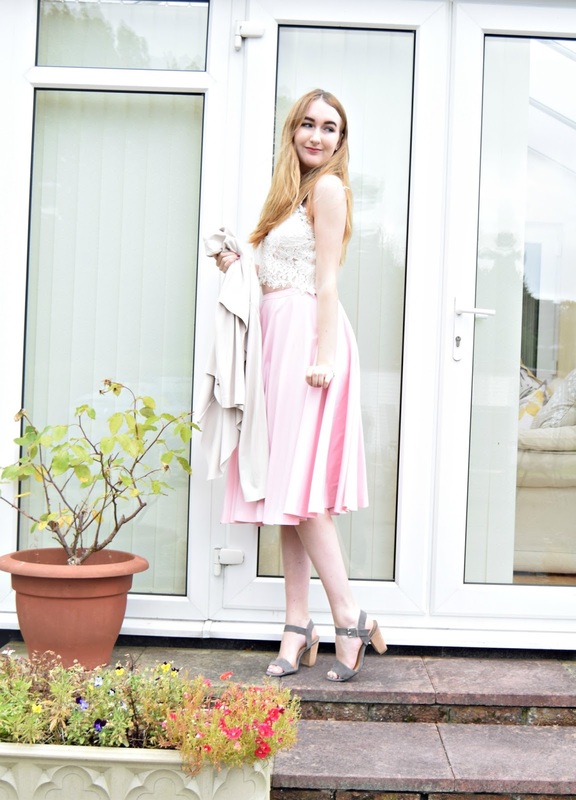 As I had dolled up, I thought what better thing to do then take some photos and blog about it.. would I really be a true blogger if I didn't picture most of my weekend! I'll admit, it absolutely chucked it down on Saturday but luckily stopped raining for enough time for me to take these photos. 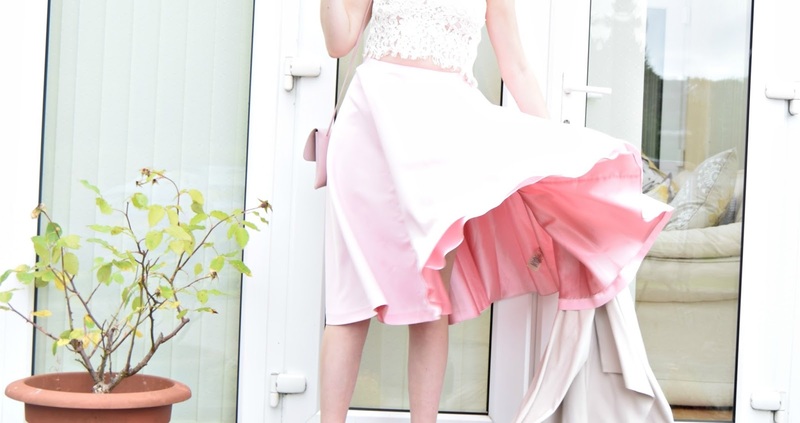 As you can see the wind was out in full force and despite it playing havoc with my hair, my skirt was blowing about all over the place, which made for some great photos! 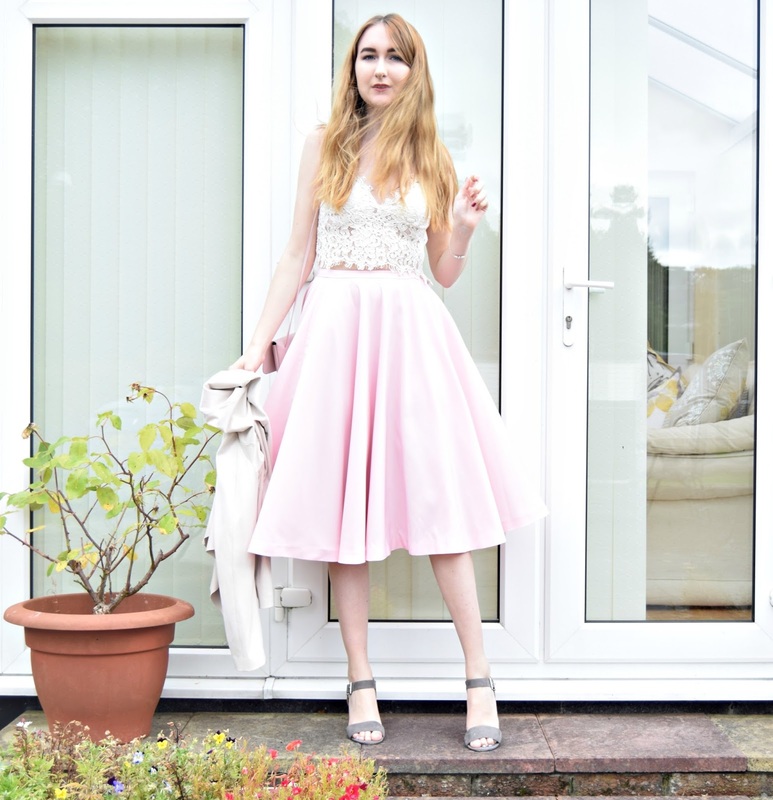 - I had my very own Marilyn Monroe moment right in my own garden..
For the evening I decided to roll out my absolutely stunning Ted Baker skirt, its sad that I don't wear it more often, but to me its so fancy that there are only a certain amount of occasions it can be worn for. I paired this with a cropped lace bralet thing (what they called?!) and a grey suede jacket, because it rained and wasn't exactly warm! I wore the comfiest heels I own, my Next grey ones that have seen some good times - they're delicate and fancy but are an absolute dream to wear. On the whole, it was such a lovely evening catching up with some of my family - it was my cousin's wedding, with it also being her son's christening celebration as well - perfect example of killing two birds with one stone! The highlight of my night has to be me and mum catching up with my hilarious uncle, he's just one of those people you laugh at everything that comes out of his mouth. A simple but lovely lovely evening, just what was needed! This outfit is beautiful! I love how you've paired that skirt with the top. Glad you had a lovely evening! Okay so that outfit is literally goals! Loved the way you styled it, ps so jealous of you that you got a Marilyn Monroe kind photo haha! I have been trying to get that for yeaarrsss!